One of the most colorful and identifiable hip-hop personalities of the last two decades has suddenly and passed away, which is giving me flashbacks to Pumpkinhead's unexpected demise just two months ago. 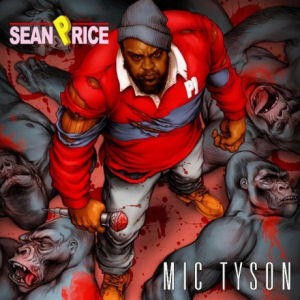 Unfortunately this time it's Sean Price, the man of a hundred aliases, including (but certainly not limited to) Sean P, Kimbo Price, Ruck and Decepticon Sean. Details are very scant and this time and will probably unfold as the day goes on and more is revealed, but The Source is reporting that he passed away in his sleep overnight. Please take a moment to say your condolences to his friends, family and millions of fans around the world - of which I personally consider myself one. His unique style of rhyme delivery and humor were easily identifiable as was his trademark yelling of "SEAN P" on tracks, whether his own or one of his numerous guest appearances. Sean would tell you himself it was his business to literally attack and body a track any time somebody invited him on, and if he outshined them that was their own f#%$@n' problem. From the earliest days of Heltah Skeltah to the present, Sean was truly one in a million. God bless.